As a modern city whose population is expected to grow substantially in the coming years, Sochi is looking towards more efﬁciently managing its day-to-day operations, optimising its law enforcement resources and enhancing public safety for citizens and visitors alike. In addition, many visitors will soon be arriving to witness and participate in several highly prestigious events – among them the 2014 Winter Olympics and Paralympics, the Russian Formula 1 Grand Prix and, of course, the 2018 FIFA World Cup. On that basis, the city’s management recognises the need for meeting the increasing requirements and complexity involved in ensuring public safety and security. 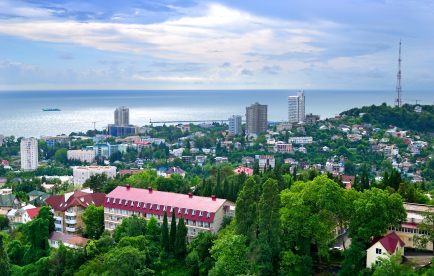 With the city necessarily having to rapidly expand and enhance its security infrastructure, Sochi ofﬁcials decided to deploy the complete NICE Safe City solution developed by NICE Systems to meet the challenge. This included the NICE Situator Situation Management solution for integrated, centralised situation management, the NiceVision IP Video Surveillance solution (spanning over 1,400 channels), the NICE Inform Incident Debrieﬁng and Investigation solution (to enable multimedia incident debrieﬁng and simulation investigation), the NICE Video Analytics Suite (with intrusion detection capabilities) and also NICE’s Audio Recording solution. Using NICE’s Safe City solutions, Sochi will be able to more efﬁciently manage city operations, optimise its law enforcement resources and enhance public safety for citizens and visitors. Thanks to NICE Situator, the city’s security infrastructure and systems have been integrated to form a Command and Control Centre that includes 40 NICE Situator workstations. This allows law enforcement agencies to build a common operating picture for all stakeholders as well as to create an automated response plan with adaptive workﬂows. With NiceVision and the 1,400 video channels deployed, the city of Sochi can monitor its urban operations and thereby address security, safety and operational risks. Speciﬁcally, Sochi law enforcement authorities will be able to automatically detect overcrowding, unattended baggage and perimeter intrusions through NICE Video Analytics. NICE Inform has the ability to provide complete, synchronised multimedia incident reconstruction ﬁles for debrieﬁng and investigation. Additionally, Inform-generated incident ﬁles may be used for insight to improve operations, training and the handling of events. Sochi law enforcement authorities can provide advanced protection to critical infrastructure and public buildings, in addition to being able to automatically detect overcrowding, unattended baggage and perimeter intrusions. They’ll also be able to monitor, detect and manage trafﬁc congestion and illegal parking, in addition to preventing loitering and overcrowding situations in public buildings and commercial areas. All are key elements in providing a safe and secure environment for the scale of events they’ll be hosting.